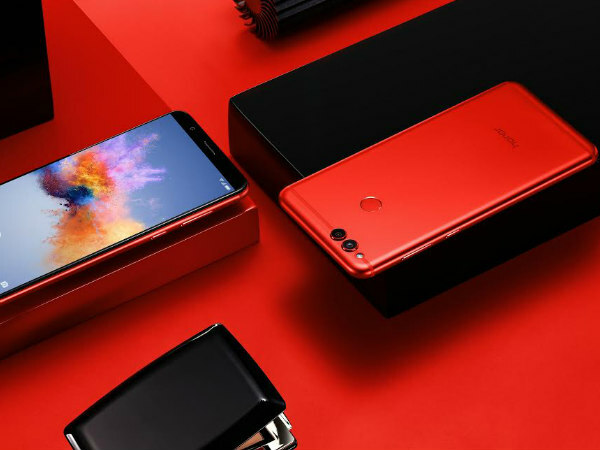 Huawei's sub-brand Honor has started rolling out a new update to the Honor 7X which brings a lot of changes with the performance of the smartphone. If you are an Honor 7X owner then you should consider this before updating your smartphone. The new update brings the much anticipated GPU Turbo feature with it to ensure the improved gaming experience. Apart from the GPU Turbo, the update brings Party Mode feature which will help you to sync music playback across phones for better sound effects and more. The update comes with the version number 8.0.0.360 for the BND-AL10 device variants. The GPU Turbo feature will reconstruct the traditional graphics processing framework at the lower layer system. This will improve the user's gaming experience. The update will improve the graphics processing efficiency by 60 percent while the SoC (System on Chip) energy consumption is reduced by 30 percent. In result, this will support the mobile games which demand high graphics processing efficiency. During the announcement the company mentioned that it will bring the update first to the Honor play, then it will roll out the update to Honor 10, Honor View10, Honor 9 Lite and Honor 7X globally. As per its promise, the company is rolling out the update along with features like call recording, Party mode, and latest Google security patch. Since the update has just kicked off it might take some time to reach all the regions. So if you haven't got the update yet then don't worry it might be reaching you in some time. Mostly you will get a notification on the when the update arrives, but if you can also check it manually. For checking the update, you need to go the setting option where you will find About the phone option while selecting it you can see a section system update, just click on the option and it will show you whether the update arrives or not. Before updating the phone make sure you have more than 30 percent of battery on your phone.